Towards the new year 2019, BMKG has informed about the potential of strong winds and high waves in a number of regions through press releases. The potential of high winds and high waves is due to the monitoring of the latest atmospheric conditions. As stated by BMKG related to the weather conditions of the wind and waves in 2019 through tribunnews.com. That's right, that's what happened during the 4th Nongsa Regatta 2019 at Nongsa Point Marina, which lasts for 3 days, 25-27 January 2019. Nongsa Regatta is an annual event held at this luxury resort. The strong waves even made me feel sick on the boat while watching this event in the middle of the sea Nongsa. The waves that hit the yacht that we boarded made the water rise to the boat until my shirt was wet. 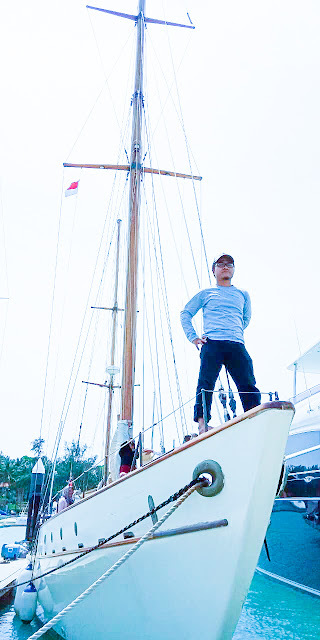 That afternoon, Sunday, January 27, 2019 which is the last day of this international event, I was accompanied by my husband and my fellow bloggers boarded the Rona Yacht which was 124 years old. This yacht was also what we used last year while watching this prestigious event. With enthusiasm we immediately climbed on the yacht and headed for the sea. The waves at the sea were really strong at that time, not like last year which was a little calmer even I was free to take selfie on the yacht. 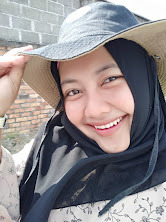 It's different from this year, let alone be selfie, even to sit upright even I feel could not. My stomach was nauseous, and sorry I had vomited a few times then sat on the back of the yacht accompanied by my husband. 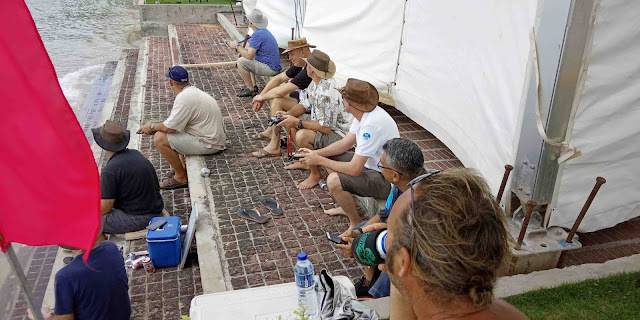 But the noise on the front of the yacht suddenly made me want to join, the excitement of friends while watching the race made me a little bit strong. Maybe my body was not healthy at that time. Okay, let's continue the excitement even though conditions like this, because to get a moment like this I have to wait another year, too bad if I miss it. 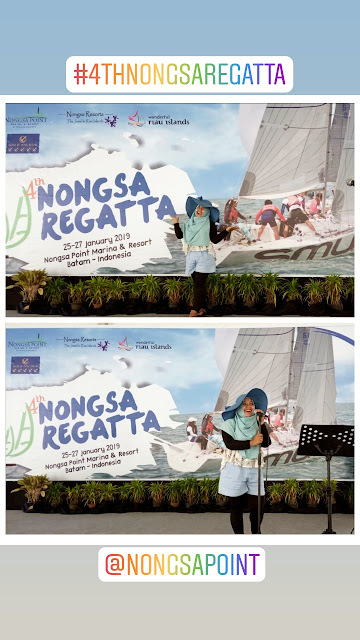 There are a few interesting and different things from previous years, The 4th Nongsa Regatta 2019 presents local faces as participants who make this event look more victorious and successful. They are national athletes from Riau Islands and Papua. Even they are the winners, proud of Indonesia. There are 4 countries participating in this prestigious annual event. There were 59 packs participants. namely Singapore which dominates with a total of 6 boats with a number of participants around 37 packs. 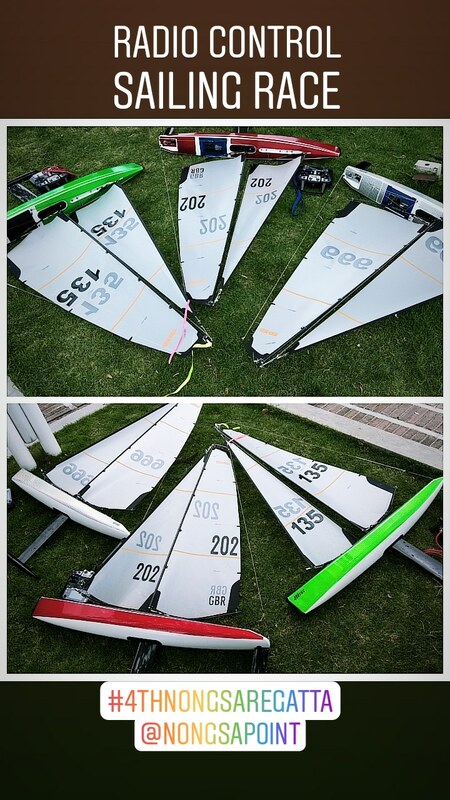 Delivering the Rainbow Dream ship, then United Kingdom, the participants were strengthened by 8 packs. 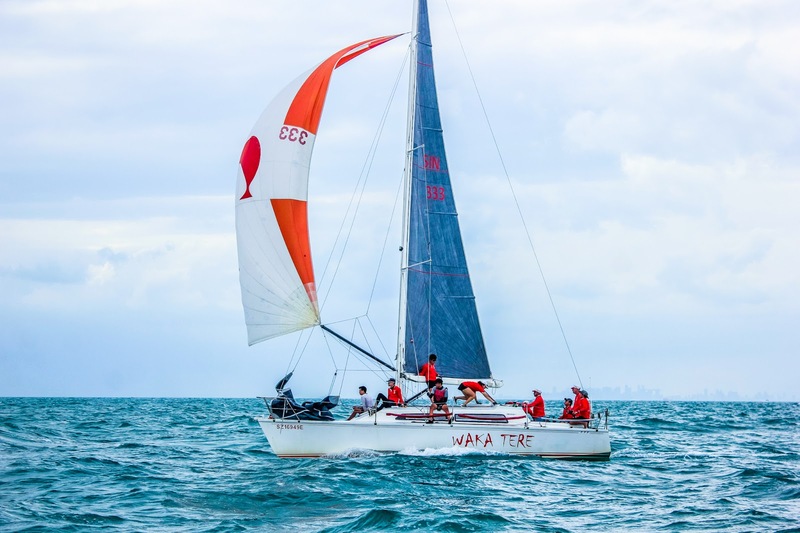 Not to be outdone by the Waka Tere team, which last year was also the winner, they also took down 8 packs ships with US flags. Other slots are filled by New Zealand with the amount of 6 packs. 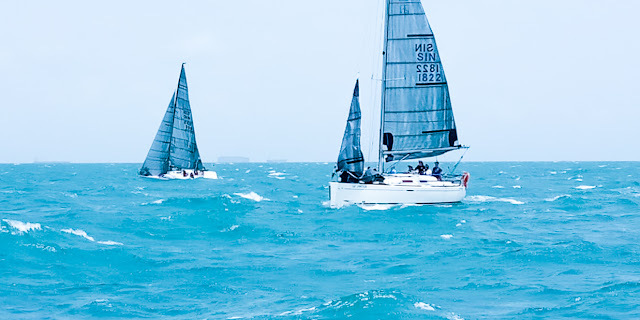 Keelboat race is a form of sport involving sailing yachts and larger sailboats, as distinguished from dinghy racing. It is composed of multiple yachts, in direct competition, racing around a course marked by buoys or other fixed navigational devices or racing longer distances across open water from point-to-point. It can involve a series of races when buoy racing or multiple legs when point-to-point racing. It was the last day of this event and we watched this keelboat race in the middle of the sea. The participants were excited even may not remember with high waves crashing. I just watched, lying limp because of the swift waves that hit the ship. 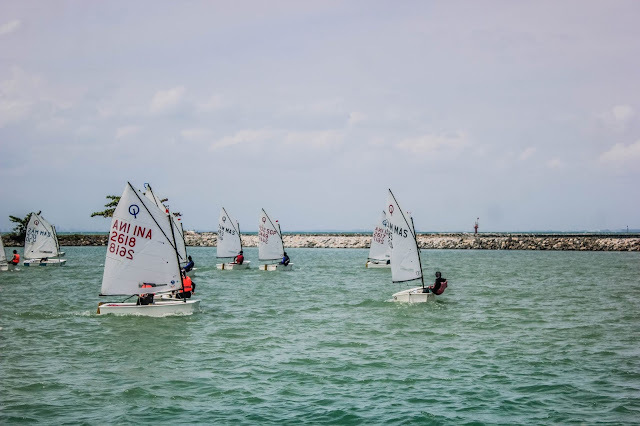 After finished watching the keelboat race, we continued watching the dinghies race.Dinghies race is a competitive sport using dinghies, which are small boats which may be rowboats, have an outboard motor, or be sailing dinghies. the participants were elementary school students for the Laser category and Junior High School for the Optimist category. 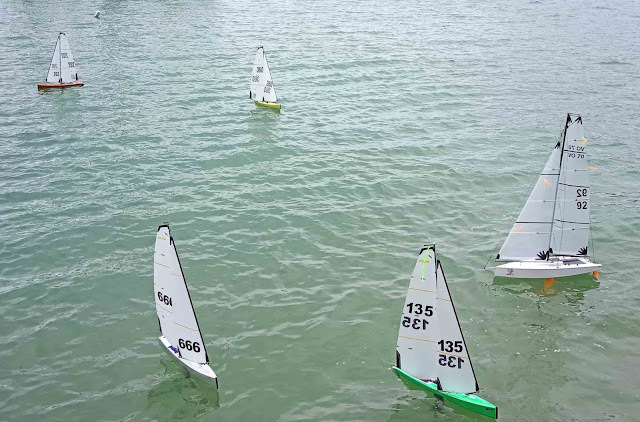 Yacht races miniature that are controlled by radio control. This race is located in the sea right in front of the lobby. Without having to go to the sea, the participants simply sit on the beach and use their trained hands to drive the remote control to control the miniature yacht. Dinner on the last night of this event became a place to greet and cheer for the winners' victory. Attended by the Head of the Riau Islands Tourism Office , Mr. Boeralimar who said, "From year to year Nongsa Regatta runs better. No wonder the number of participants continues to grow. This year, around 78 foreign tourists participated plus their families predicted to penetrate the 234 number of foreign tourists ". Don't miss the scenery at Nongsa Point Marina. Who doesn't know Nongsa Point Marina which is the only tourist destination in Batam that has this super cool marina view. 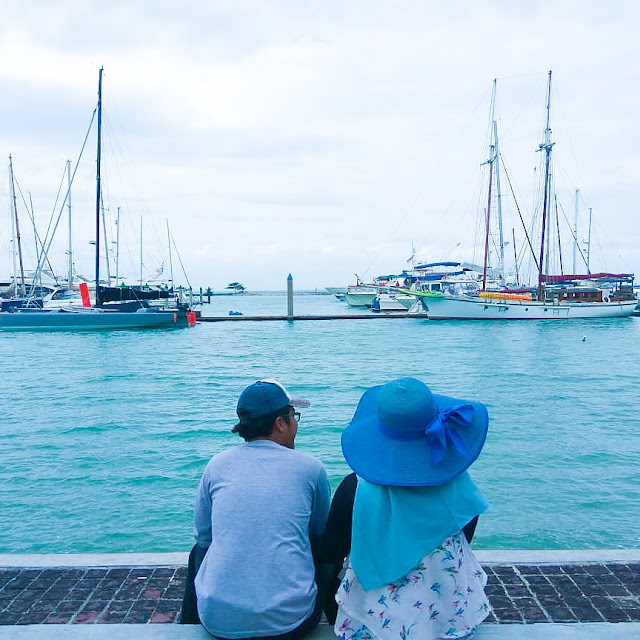 Besides watching this international event, a view of Nongsa Point Marina is also the added value that can not be missed.The beautiful scenery in front of the eyes makes the hands itchy to not operate the camera. You can take pictures in every corner that is beautiful and has its own uniqueness. Designed with a Mediteranean touch and built around a natural cove with spanish colonial style architecture. Truly uniques waterfront destination in heavenly peaceful, tropical surroundings and different shapes of yacht floating that creates the picturesque view of the resort. The most interesting thing that keeps people coming to this resort is the floating yacht view. 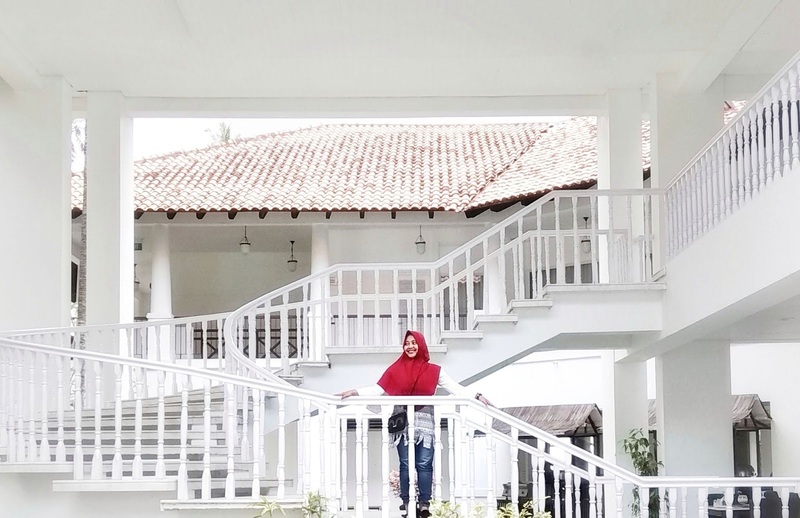 Not only that the eco-friendly environment is also the magnet of this tropical resort. Seen from trees towering along the road that makes anyone want to walk leisurely under it. Coconut trees stay awake around the beach then beautiful flowers that add to the beauty of this resort. You will feel the cool and fresh air if you walk leisurely in the morning from the apartment location to the marina and lobby area. 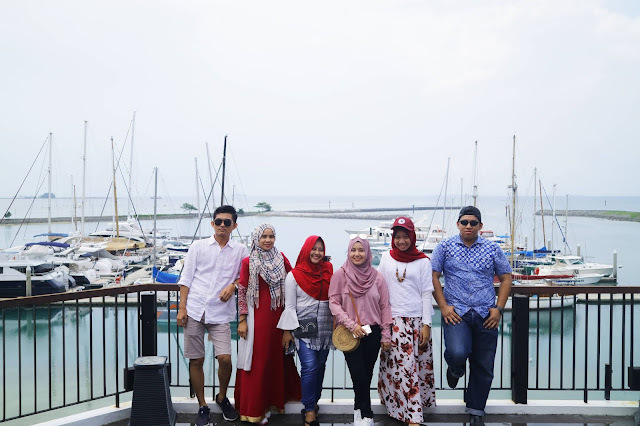 Aside from being a resort, Nonga Point Marina & Resort is also used to rely on private tourist-owned yacht which are one of several harbour in Indonesia that offer parking facilities for yachts. This port can accommodate around 65 yachts with a size of up to 120 feet. 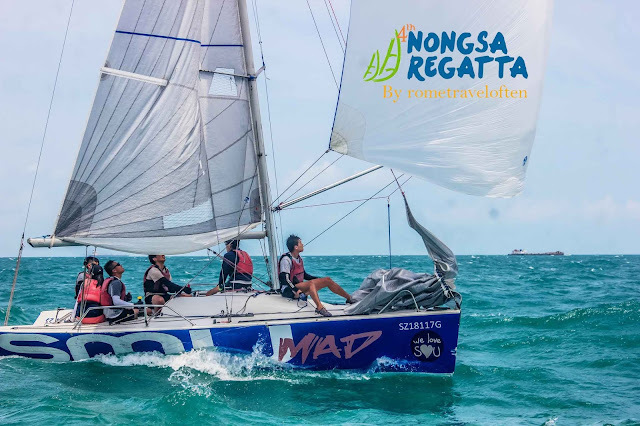 Every year Nongsa Point Marina & Resort always holds international standard sailing events, Nongsa Regatta. After being held, all seemed satisfied with the success of this annual event. Not only the organizers, but visitors and participants also seemed happy with this activity. 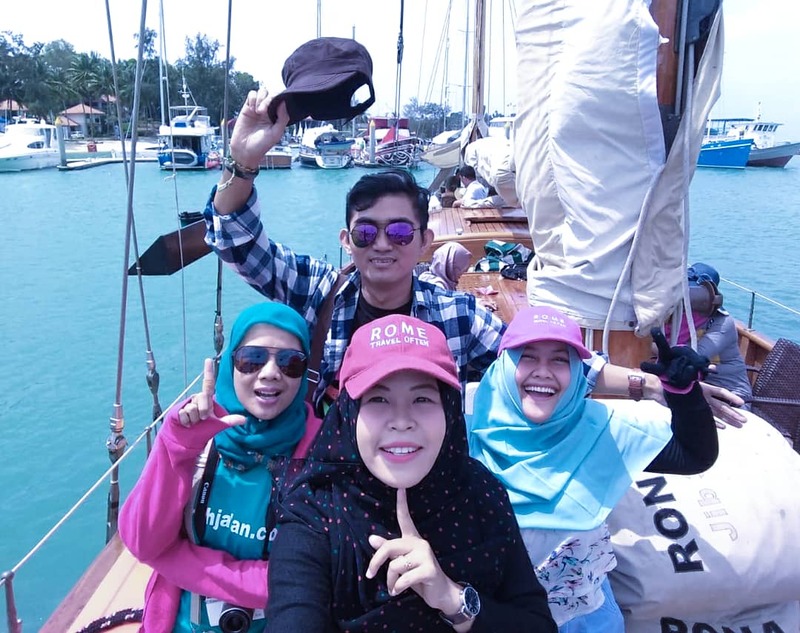 The organizers hope that this event can attract the attention of both local and foreign tourists to the Riau Islands Marine Tourism, especially Batam City. 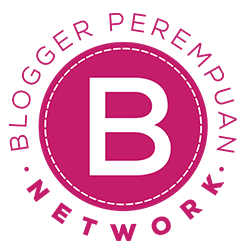 Support from the government also plays an important role in the success of this activity. Especially from the Ministry of Tourism of the Republic of Indonesia, and the Riau Islands Tourism Office. So that every year this international level race can be held successfully. Strong waves and winds will create a great sailor! wkwk i loves that old yachts, omg i wish i was there that time. 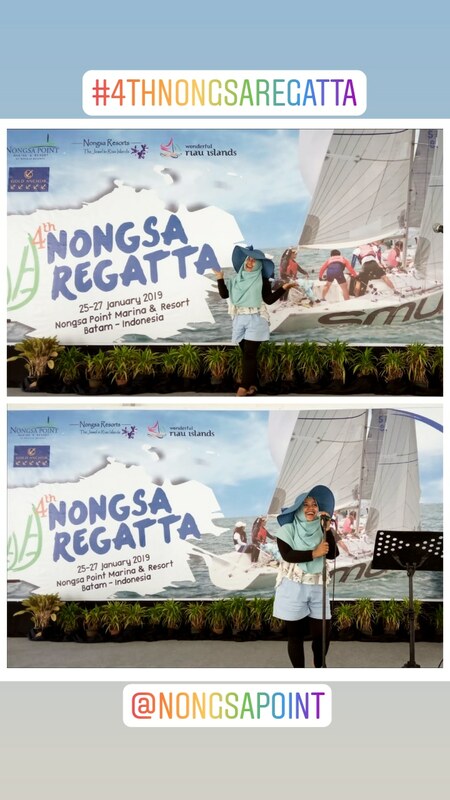 Bangga juga Batam ya, Tiap tahun punya event international seperti nongsa regatta, dimana event ini bisa dikenal dunia dan mendatangkan income bagi Batam itu sendiri..
Aaaah, Nongsa Point udah kece, punya even internasional pula. Asik banget bisa berlayar menyaksikan pertandingan. Asik kakak seru banget, ayeeee sensasi naik yacht sambil nonton sailing race itu hmmm nagih pengen nonton terus tiap tahun. 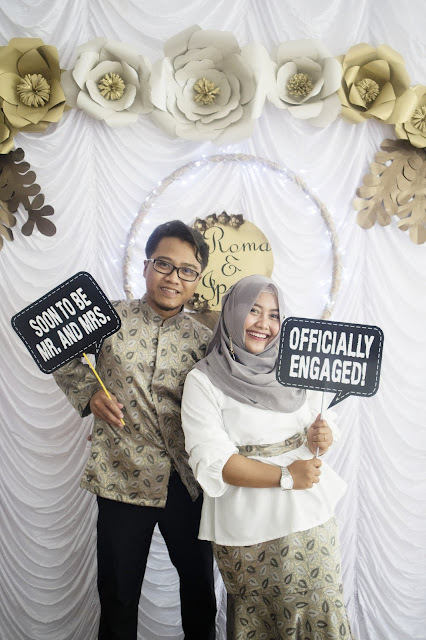 Gimana caranya kalau pengen liat acara ini tahun depan atau di event selanjutnya?